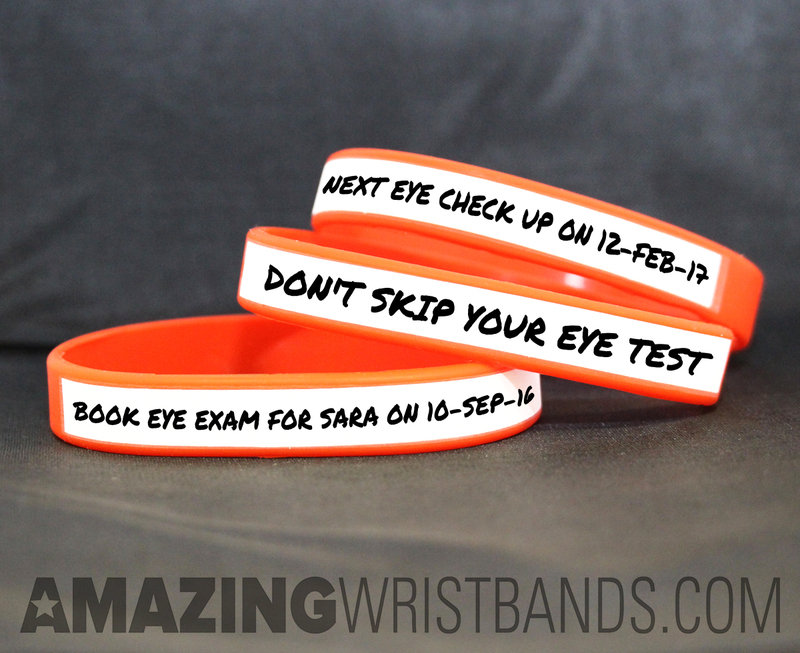 Distributing wristbands printed with message helps you spread awareness for eye health and safety. Just in time for back-to-school, August is Children's Eye Health and Safety Month. Parents are encouraged to take their child for an eye exam and talk to them about eye safety. Events are planned around the country to promote eye health and safety. Custom-made silicone wristbands printed with Children's Eye Health and Safety message can help kids remember the important lessons they learn at these events. Start to design your own custom silicone bracelets now! 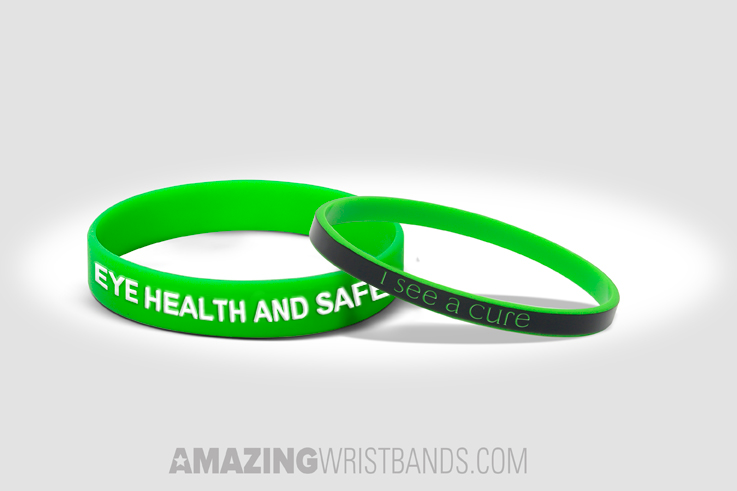 The best messages for your Children's Eye Health and Safety wristbands focus on safety. Some ideas are "I Can See Clearly" and "Eye Pledge to Stay Safe." Other messages may be specific to your particular event. According to the Health Alliance Plan, more than 12 million children suffer from vision impairment, and eye injuries are one of the leading causes of vision loss in children. There are an estimated 42,000 sports-related eye injuries each year and the majority of them happen to children. Here are some top eye safety topics to talk about with your kids. Make sure children are only playing with age-appropriate toys. Avoid toys with sharp or protruding parts. You can promote safety with Children's Eye Health and Safety with wristbands. Create custom bracelets at AmazingWristbands.com. In addition to standard wristbands, AmazingWristbands.com also offers slap bands, thin half-inch bands, thicker one-inch bands, adjustable bands, USB bands, silicone rings and silicone key chains.